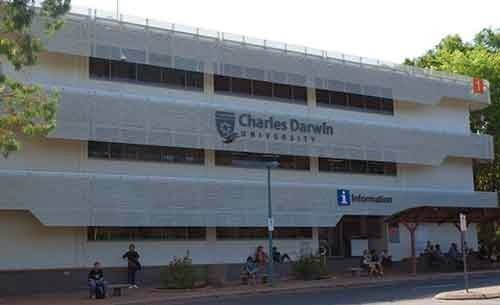 Charles Darwin University offers a limited number of 50 per cent and 25 per cent tuition fee scholarships for international students who? have a record of academic excellence and high achievement. The tuition scholarships apply to the tuition fees for the full duration of an Undergraduate or Postgraduate coursework degree. The scholarships are awarded on demonstrated academic merit and are available to students seeking to? commence a degree at CDU in Semester 2, 2014.
have submitted a completed application for the scholarship by June 13, 2014, for commencement in Semester 2, 2014. Download the Vice-Chancellor’s International High Achiever’s Scholarship Application Form (pdf 59KB)and submit with your application for admission to a degree program at CDU. Please note: the VCIHAS scholarships are very competitive and meeting the minimum eligibility standards? described above does not guarantee that you will be awarded a scholarship.? All applicants who meet the minimum eligibility standards will be included in the selection ?process. ?The decision of the University selection panel is final. Demikianlah informasi mengenai Vice-Chancellors International High Achievers Scholarships, Charles Darwin University, Australia semoga berguna bagi anda.